What does a content marketer look like? The denizens of the digital world love their content. Not just crazy cat videos, either. We're talking Red Bull's online campaign to support spinal cord research, GoPro's collection of Youtube stunt videos, Chipotle's Hulu comedy series about sustainable farming, Coca-Cola's Vine celebrities on social media and, of course, Facebook sensation Boo the dog slumming for Virgin America. Content in all its digital forms, so the cliche goes, is king. And so is a savvy digital marketer who knows how to put the company's brand on the wings of viral content, ride it to Twitter's towering heights, and pick up loyal customers along the way. Too bad most marketers do a terrible job with digital content. 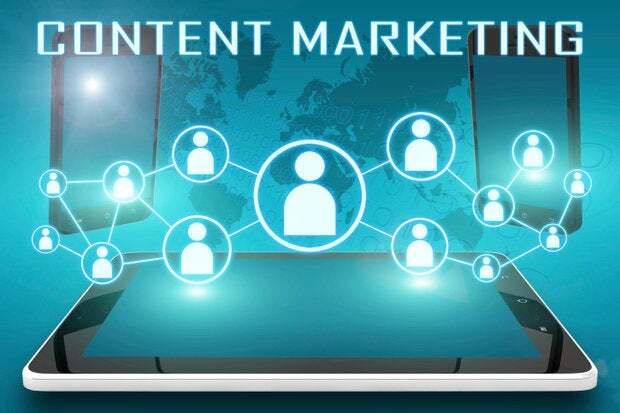 "Content marketing is getting more budget, but marketers are failing in the execution," say Forrester analyst Ryan Skinner, in a report called Crack the Marketing Content Code, adding, "Too many marketers' content programs get underway with the market research equivalent of a hunch." While marketers enjoy a legacy of awesome creative advertising and design, the digital world forces them to think about content in a wholly different way. Not only must marketers understand their target customers, marketers need to know where they are online, what they're talking about, who they're friends with. It's no longer about pushing a well-crafted marketing message to potential customers, rather it's about pulling them in by peaking their interest with insightful content. Today's digital content might be originally created content, curated content, crowd-sourced content, user-generated content and content developed in partnership with online "influencers" and other groups. Forrester cites a number of examples: When Mercedes-Benz USA wanted to reach the 20-something crowd, the car-maker launched a campaign with Instagram influencers. Retail giant Target, Volkswagen and media house Funny or Die teamed up to make a silly online video of a Volkswagen car buzzing around inside a Target store (see below). Unilever and SapientNitro hired beauty video bloggers to create how-to beauty videos. To the chagrin of old-school marketers, great digital content rarely tries to sell a product or service in a drive-by marketing campaign. It's not about features and benefits. Instead, the aim of digital marketing is to unearth target customers, earn their approval, learn about their interests, build a relationship with the right content, tap into their collective mindset, and subtly imprint your brand, all for the long haul. "Once you've established the right targets, you must spend time and money investigating what consumers are likely to want to read -- and not just what you'd like to tell them," Skinner says. "Marketers may hesitate to commit significant resources to activities and materials that will never point directly at consumers, but the insights generated pay for themselves many times over once consumers show appetite for the content." This approach to content marketing, however, has some obvious challenges, namely, content attribution. In other words, it's not easy tying a content asset to a business result. Tech vendors such as Adometry, Convertro and Highspot are trying to close the gap, but it's still a work in progress. A Forrester study found that 86 percent of marketing leaders practicing content marketing struggle to link their activities to business value. Nevertheless, marketers excelling at digital content gain something even more valuable: a relationship with a customer who, in turn, can become a brand advocate in the word-of-mouth digital world. "Effective content marketing depends on the consent and interest of the customer and thus aims to produce a healthier relationship between the customer and marketers' messages," Skinner says.